- Backup SMS & iMessage & MMS (including Photo&Video&Audio) from iPhone/iPad/iPod to PC. - Print SMS & MMS & iMessage out and have them be seperated by date and 'sender' and 'receiver'. 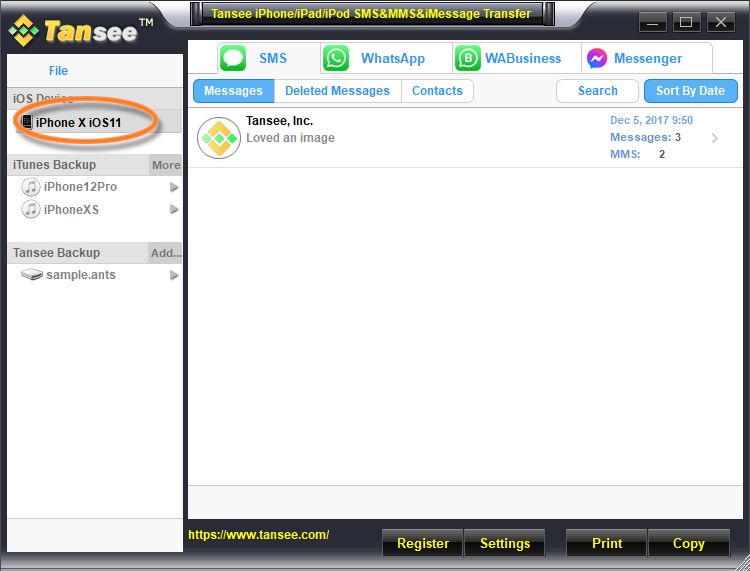 - Retrieve Deleted Messages Directly from iPhone/iPad/iPod. - Retrieve Deleted Messages by extracting iTunes backup files.